Martin was the missing piece, playing the suave straight guy to Lewis’s crazy buffoon. They quickly went from nightclubs to radio to television to movies, the name “Martin and Lewis” becoming synonymous with a kind of high/low comedic assault that merged banter and vaudeville. But despite the fact that the two performers refused to speak to one another after their split, their association remained, years later, fully cemented in the public’s imagination. As film critic Shawn Levy, who wrote the biography King of Comedy: The Life and Art of Jerry Lewis, observed, “There was a strange hint of something like sexuality between” Martin and Lewis in their films. For instance, they remade romantic comedies but turned them into buddy movies in which Lewis was always the female role. 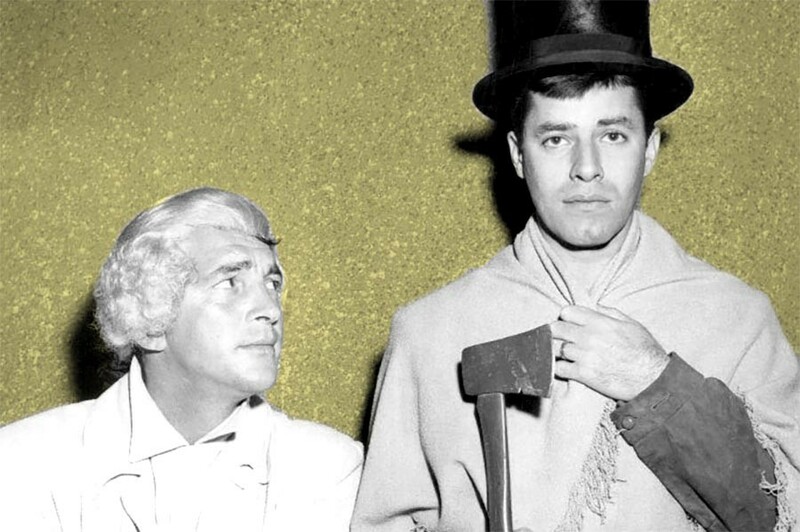 While Martin and Lewis had gone their separate ways, they never could escape one another.